Most high school wrestlers in the world would be thrilled with finishing fifth in the state in their respective weight class. They’d be overjoyed, jumping up and down, telling all their friends and sharing their accomplishment all over their Twitter page. Shelly Avelino is not one of those people. Last Saturday after a ton of hard work, she finally took state. Avelino defeated Westminister’s Aine Drury by pin in the second round to win the state title in the 137-pound division. 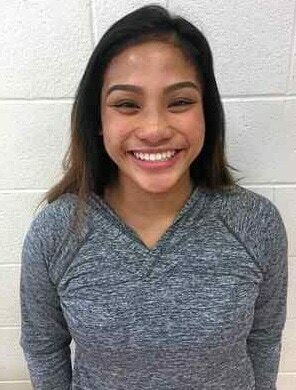 For the second straight week and third time this school year, Avelino is the Times-Herald Athlete of the Week. Avelino went 2-0 on Friday night to advance to the semifinals in Bakersfield, but was pretty nervous about the next day. Avelino got the win over Miles, however, and all of a sudden was in the finals. Then she had to wait. Avelino waited seven hours for her next match, pacing back and forth and watching consolation rounds. Benicia coach Craig Holden knew it was best to just stay away during this long waiting period. Avelino had never wrestled her finals opponent, Drury, and didn’t know much except that she had a background of jiu jitsu. Thanks to a nice move in the second period, she ended up a winner. As soon as the ref hit his band on the mat to signify the win for Avelino she was smiling and full of joy. Avelino said she knew she was making progress in her training during the year when needed more laundry trips. “I thought about it a little, and as a freshman and sophomore there were a lot of days I didn’t sweat that much on my clothes. As a junior and senior, my clothes were a little more damp,” the 17-year-old said. As soon as Avelino won, Holden said that all the coaches were ecstatic. • Ryley Boutain, Alejandro Lanza, Fernando Lanza and Basil Othman, Benicia High boys wrestling. Boutain came in second place at the Masters tournament by going 4-1. Alejandro Lanza and Fernando Lanza each came in third place, while Othman also qualified for the state tournament next week. • Antonia Diaz, Benicia girls soccer. Diaz had a goal in the 2-1 overtime loss to Manteca. • Tavian Henderson, St. Pat’s boys basketball. Henderson scored 21 points in the Bruins’ win over Gateway. He had 16 more points in a win over Piedmont. • Gamon Howard, American Canyon boys basketball. Howard had 17 points in a loss to Place in the first round of the playoffs. • Jose Lopez, American Canyon boys soccer. Lopez got the win in goal in the Wolves’ playoff win over River Valley. • Tara Othman, Benicia girls wrestling. Othman came in fourth place in the 116-pound division at the CIF state tournament in Bakersfield. • Juan Perez, Bethel soccer. Perez scored twice and had an assist in Bethel’s first-ever playoff win over Mira Loma. • Trey Pugh, Benicia basketball. Pugh had 27 points in a first-round playoff win over Center of Antelope. He also had 16 points in a loss to Capital Christian. • Tameiya Sadler, St. Pat’s girls basketball. Sadler scored 25 points in a loss to Marin Catholic on Saturday night.